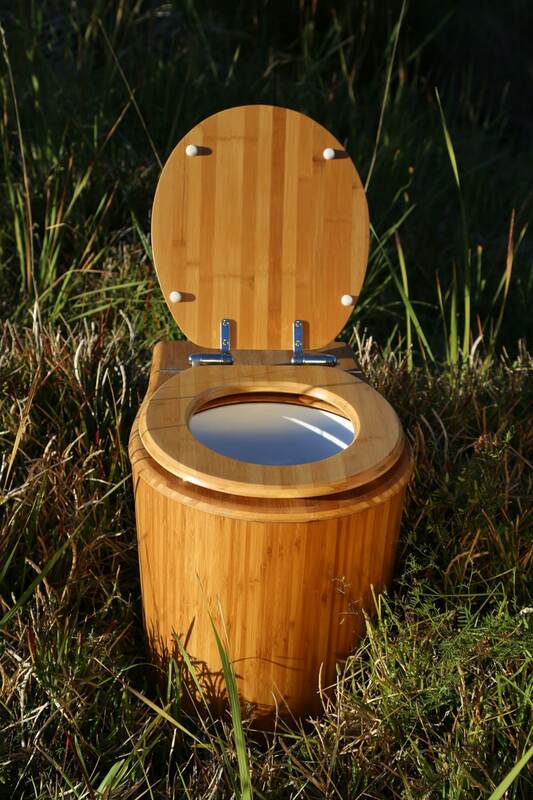 If you’re new to the concept of Composting toilets, read below to take a look at how to use our hand crafted Bambooloo composting toilet systems. Currently, the Bambooloo team are working on a video series that will detail use of your composting toilet. In the meantime, here are some simple to follow instructions. The Bambooloo itself is what is known as a toilet receptacle, meaning it is what is used to temporarily store the human faecal matter until it can be transported to the secondary composting area. To use the Bambooloo, you first place the composting bag inside the bucket. Next, place roughly 5 centimetres of carbon cover material (such as the coco-peat supplied in the starter package) in the base of the container. Once this is done, you may use the toilet, remembering each time to cover your business with more carbon cover material. If at any time you have problems with odour in your Bambooloo, this is most likely an indication that you are not using enough cover material. Eventually, the toilet receptacle will fill up. At this time, you simply lift the container out of the toilet, and transfer the contents of the bag into your outdoor humanure composting pile. Place a new bag, and a new starter layer of cover material into the bucket, and then return the bucket to the Bambooloo ready to start again.